What is a bitcoin? : worth, price exchange and is it safe? If you’ve heard of Bitcoins but you’re not sure exactly what they are, keep reading and we’ll reveal answers to questions like: what is a Bitcoin? and how are Bitcoins spent? Other basics about the new currency will also be covered. A Bitcoin is a form of digital currency that’s starting to get people’s attention. The basics of it is that you can use a Bitcoin to pay for goods and services without a third-party broker like a banker getting involved. Bitcoins can be purchased through the MtGox exchange, VirWox - The Virtual World Exchange and CoinMamaas well as lots of other dealers. Before you part with your cash, do a little homework on the firm you’ll be giving your money to so you can make sure they’re reputable and will do as they say. 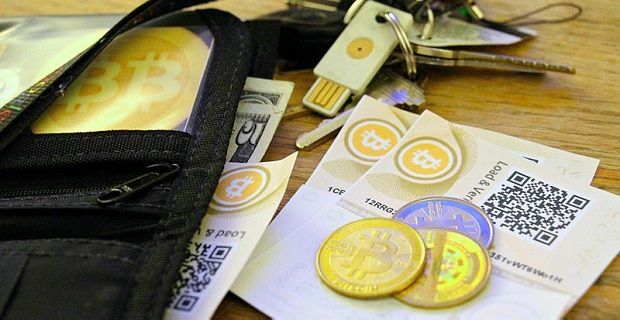 You’ll need to install a Bitcoin wallet app on your phone or PC before you purchase them from an exchange. Where can they be spent? Firms like Sir Richard Branson’s Virgin Galactic are taking Bitcoins in payment. Of course, not everyone can afford Branson’s suborbital spaceflights for tourists, but in Germany the Bitcoin is now an official “unit of account”, you can withdraw them from ATMs in Vancouver and you can even buy a pint in the Pembury Tavern in Hackney with the online currency. The beginnings in 2009 were hardly noticed by anyone. One early investor in Norway spent the equivalent of just £17 on shares back in 2009 and took away £551,000 when he sold them in 2013. Bitcoin exchanges are vulnerable to hackers so be warned that investing heavily may not be wise. The great returns experienced by the Norwegian investor and others like him came because they invested in the currency when it was brand new.